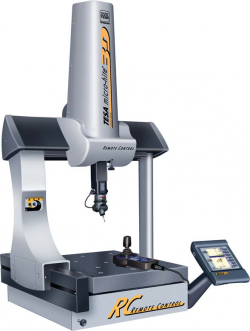 Made to provide users with absolute ease of use, the TESA MICRO-HITE 3D fills up opportunely the free space between the common gauge and the sophisticated CMM. This measuring machine with remarkable capabilities is best used in industrial applications where dimensional conformity of workpieces either produced as single parts or in small to medium part series requires due approval. Featuring a modern, yet time-tested design, the machine is based on high quality raw materials and components, thus ensuring its long-term reliability. 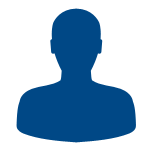 Being able to identify the shape of the part feature being measured, the intuitive TESA-REFLEX software is easy to learnt, taking a few hours only. Recorder version with manual and/or automatic reproduction of part programmes. 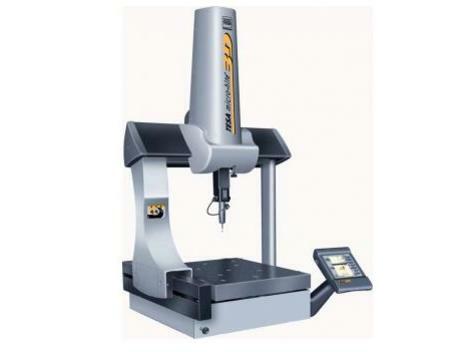 CMM with moving bridge; light alloy machine base; granite measuring table. 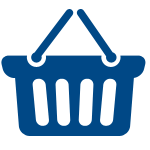 TESA's patented opto-electronic measuring system based on incremental glass scales. Fast and easy workpiece alignment. Point-to-point part probing or manual scanning. ZMouse for significant time savings. For exact positioning on small work pieces having a complex shape. Three servo-motors individually controlled over a joystick ensure a correct displacement in each coordinate axis with a positioning accuracy down to the micron. Manual displacement in the three coordinate axis at the speed of 760mm/sec. Value acquisition through a single button. Specially recommended for those vision based applications using a CCD camera. 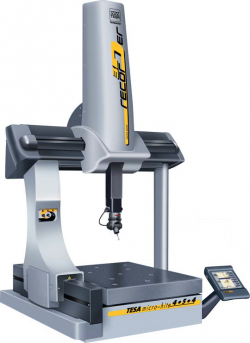 The Recorder coordinate measuring machine is the latest development in the whole range of small TESA MICRO-HITE 3D. An added functionality makes it possible for the operator to control the servomotors in the three coordinate axis, but also to reproduce a programme sequence of the machine displacements in the automatic mode. Each displacement can either be operated manually or using the joystick. No preliminary programming is needed. Fast and easy work piece alignment. Manual displacement in the 3 coordinate axis. Automatic reproduction of the manual machine displacment. Displacement speed in automatic mode: 200mm/sec.